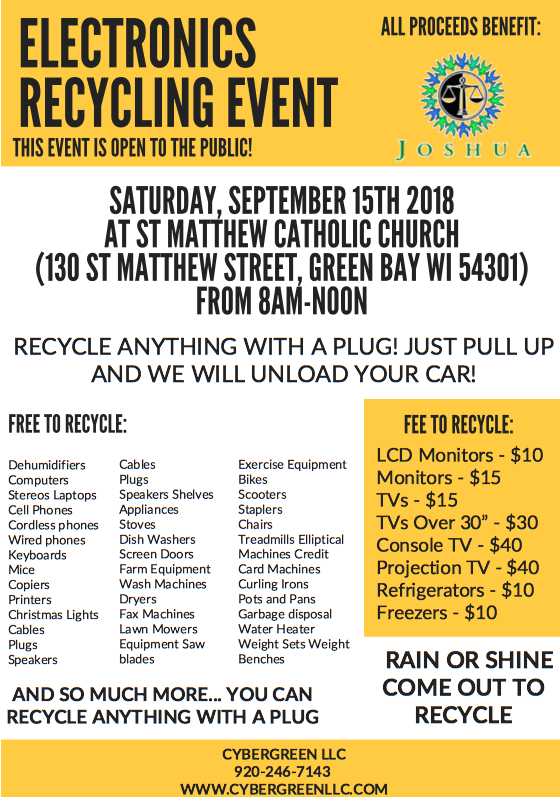 Please join us on Saturday September 15th 8am- Noon at St Matthew Catholic Church (130 St Matthew Street, Green Bay WI 54301). We will be collecting any and ALL items with a plug! Please scroll down to view list of items that have a fee to recycle; everything else metal or with a plug is free! Help us get the word out and share our event, and invite your family and friends. Microwaves De Humidifiers Appliances AND SO MUCH MORE!! !